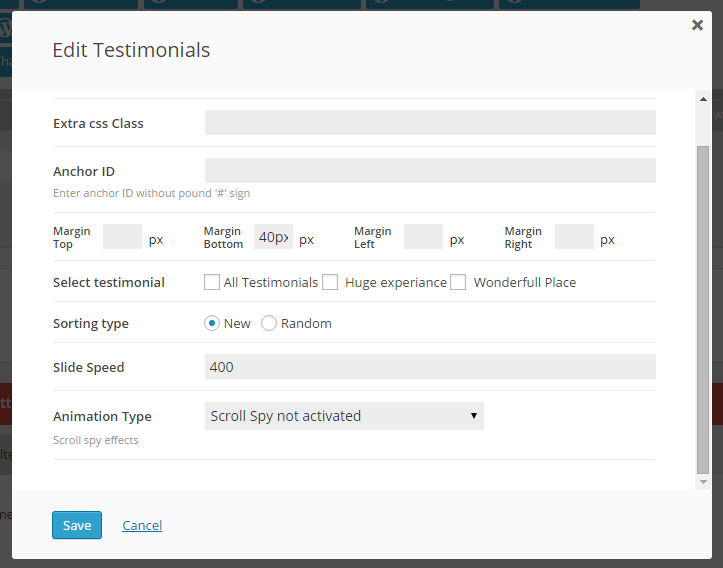 You can easily add a testimonials on the Krypton theme using Testimonials page on the dashboard. 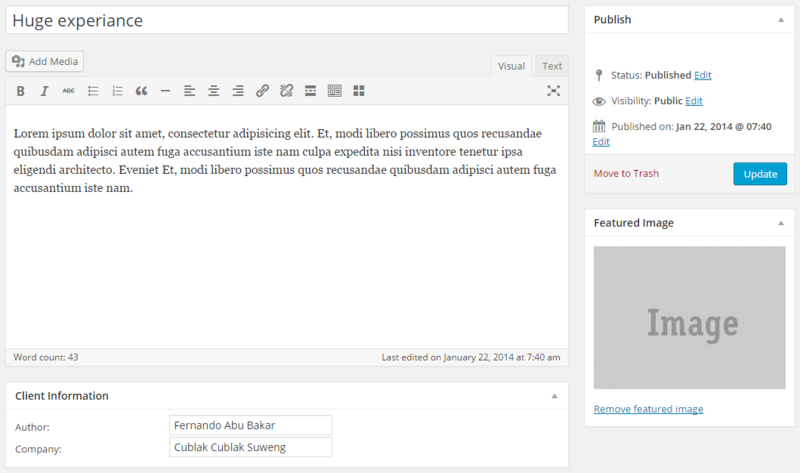 To add a new testimonial click on the Testimonials > Add new from the Dashboard sidebar. 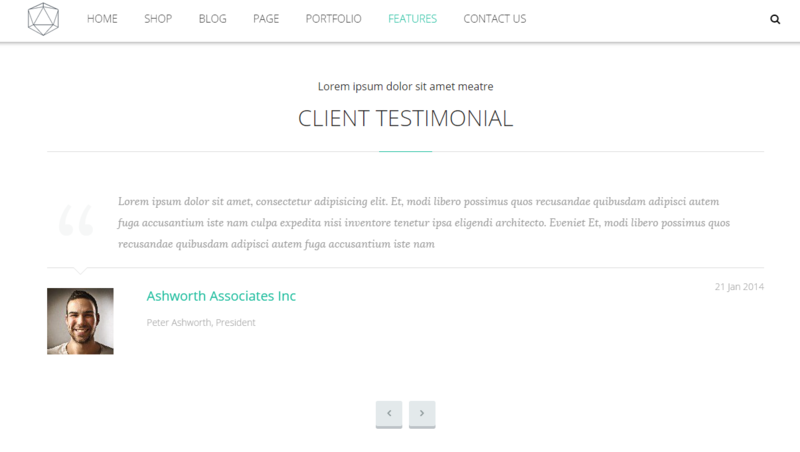 On the testimonial’s edit page you can add a Testimonial Description, Client information, and Client’s Image which you can add as a featured image. You can set which testimonial is going to be displayed, how the testimonial will be sorted (random or newest first), slide speed, and animation type.